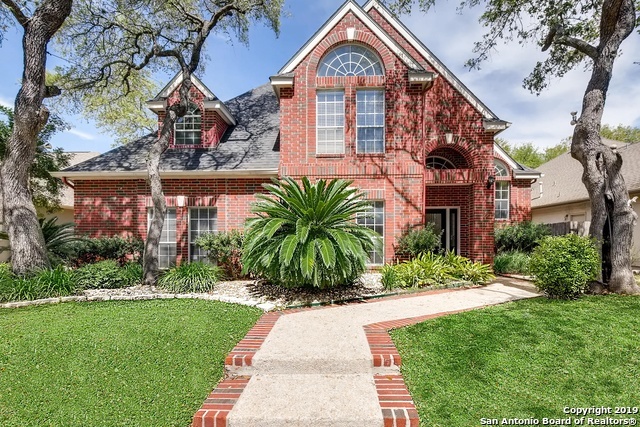 All Woods of Deerfield homes currently listed for sale in San Antonio as of 04/20/2019 are shown below. You can change the search criteria at any time by pressing the 'Change Search' button below. "Escape to the beauty of Prestigious Deerfield! Open floor plan with DUAL MASTERS - one up/one down. Refinished wood and tile throughout downstairs, newer carpet in Master and all other rooms. Spacious kitchen includes newer disposal, microwave & oven with no fingerprint surface. Additional features include large game room with built-in shelves, new lighting throughout, custom cabinetry and modern,warm decorator colors. SPARKLING POOL (heated) and hot tub with lush landscaping and new fence b"